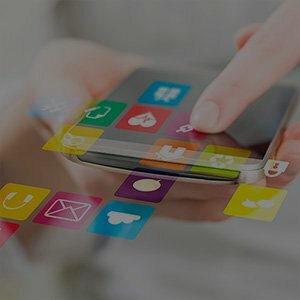 New Delhi, India – May 23, 2017: Mahindra Comviva, the global leader in mobility solutions, today announced that its popular monetization platform for channel service providers – MobiLytix™ Incremental Revenue through Incremental Sales (IRIS), is now a subscription based Software-as-a-Service (SaaS) offering that ensures better revenues at lower investments. With MobiLytixTM IRIS as SaaS, Telecom operators will get assured universal access on an economical investment. The ‘pay as you go’ and ‘plug and play’ features makes sure that operators pay based on capacity subscribed without worrying about hardware requirements and maintenance. The platform will also provide simplified upgrades as well as enhanced protection against network threats. SaaS platforms are poised for tremendous growth in the coming years. According to a joint report from Google and Accel Partners, SaaS (Software as a Service) products market in India is expected to cross USD 50 billion in the next ten years*. There are multiple advantages offered by SaaS – advanced certified security, system robustness, data encryption and support for multiple tenancy. The key features of IRIS now include implementation of a single master release, auto refresh, enhanced load balancing and transactions, multiple interfaces, scalability, increased capacity and performance management, isolation of transaction and records, personalized GUI and synchronization of currencies, languages and time zones.